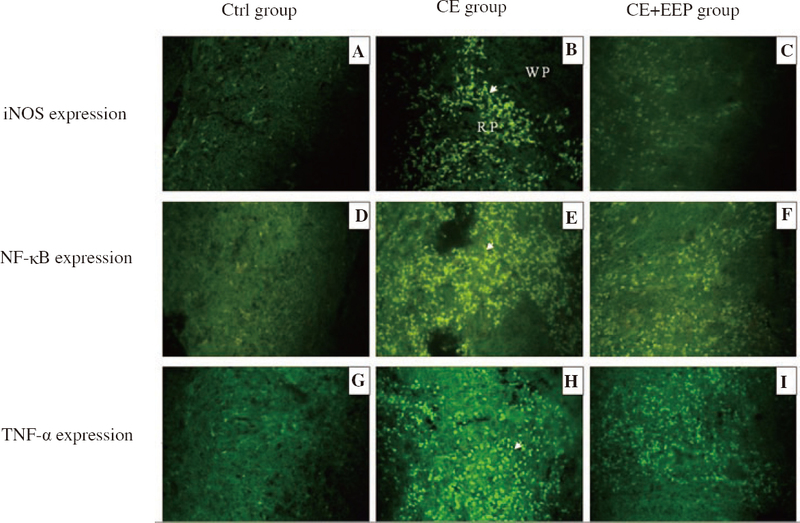 Figure 6: Representative pictures of immunofluorescence essay results. Mice spleen tissues were stained with anti-iNOS (A-C), anti p50 NF-κB (D-F) subunit and TNF-α (G-I). (A, D, G) PBS group, (B, E, H) CE group, (C, F, I) EEP group. WP: White pulp; RP: Red pulp. The arrows indicated a high staining of iNOS, NF-κB/p50 and TNF-α in CE group; (× 30 magnification).